I was diagnosed with FMS(Fibromyalgia Syndrome) over 20 years ago. Back when it wasn't even considered or acknowledged as being real! Well as we suffers know it's real!! I personally chose holistic treatments over any of the prescribed medications. Massage, yoga, cleaner eating, Gluten free as much as possible, increase water intake, and various vitamin intake including the all known fish oils. On a pain scale of 1-10 I lived a daily level of between 7-10!! After being introduced to OmegaXL my level of pain and inflammation has decreased to a level between 2-5. A huge difference in my everyday life. 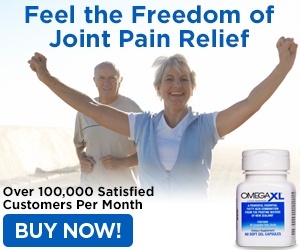 I recommend OmegaXL to everyone suffering with inflammation and fibromyalsia! Review #954257 is a subjective opinion of User954257.